By David Klinger. Into The Kill Zone: A Cop's Eye View Of Deadly Force What's it like to have the legal sanction to shoot and kill? This compelling and often startling book answers this, and many other questions about the oft-times violent world inhabited by our nation's police officers. 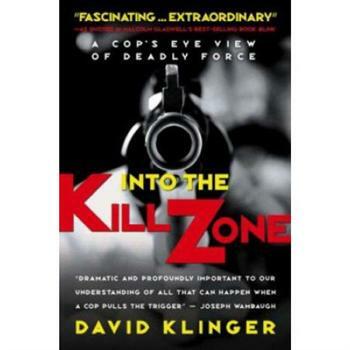 Written by a cop-turned university professor who interviewed scores of officers who have shot people in the course of their duties, Into the Kill Zone presents firsthand accounts of the role that deadly force plays in American police work. Jossey-Bass (2006), English, 304 pages. This brilliantly written book tells how novice officers are trained to think about and use the power they have over life and death, explains how cops live with the awesome responsibility that comes from the barrels of their guns; reports how officers often hold their fire when they clearly could have shot; presents hair-raising accounts of what it's like to be involved in shoot-outs; and details how shooting someone affects officers who pull the trigger. From academy training to post-shooting reactions, read compelling accounts of the role that extreme violence plays in the lives of America's cops. You can't afford not to read it.